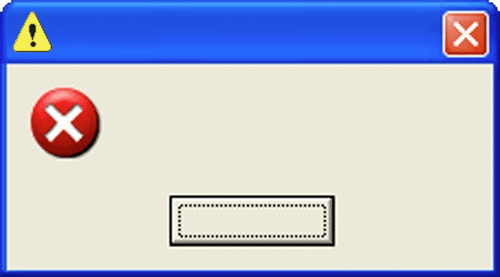 There is something very special about the error messages. The quality of the error messages is the most direct reflection about the internal state of the product. It is a kind of an external image of the inner product quality, because as we all know – “the most important thing is that the product works”, but do we care if it works for all of the clients ? Do we care how it works ? Do we understand how much time and effort is spent on understanding the problematics? These are some of the signs that the product creation went wrong and the longer such error messages persist – the more clear company’s attitude towards the outside world is. If the error message is so cryptic that not even a product developer can instantly understand what caused it – then it is time to review the product and how it was implemented. It is time to take a look at how much you care about the product. Nobody loves writing the documentation, and in some companies you have teams doing it and in some others – you simply ask the users (this is beyond funny for me, since it simply shows how much a company does not care about its clients and users), but nothing reflects more the quality of the product like the error message. Most of the time, the error messages are THE LAST THING are being take care of in the product development cycle, and it shows how much the product was rushed. Post GA (General Availability) – it shows how much the company really loves the product.